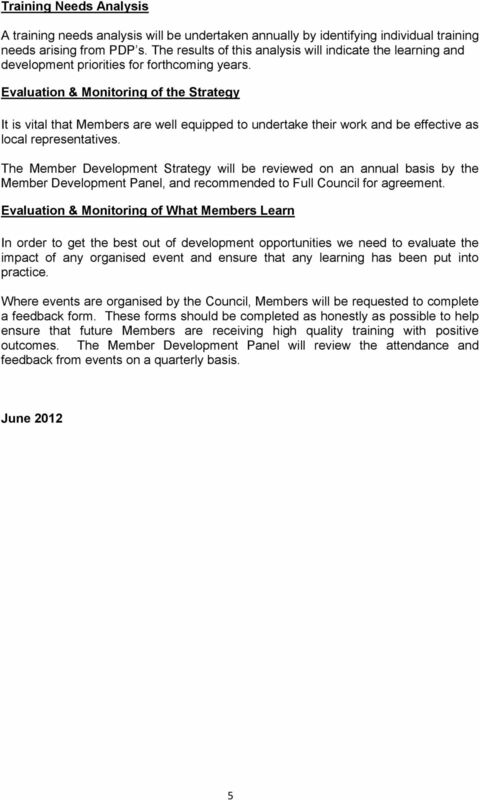 WHY HAS THIS REPORT COME TO THE MEMBER DEVELOPMENT PANEL? The Strategy was last refreshed in 2012 and needs to remain relevant and fit for purpose. 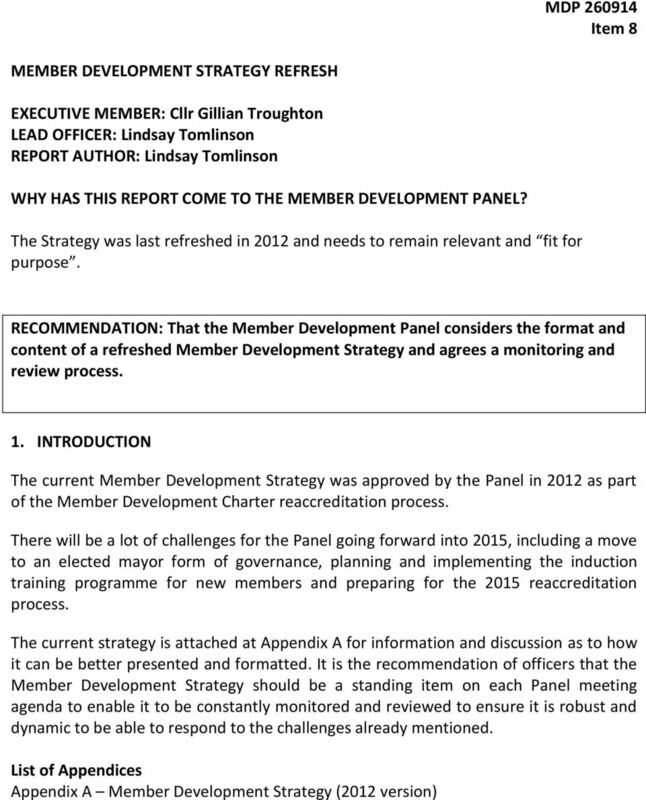 Download "WHY HAS THIS REPORT COME TO THE MEMBER DEVELOPMENT PANEL? The Strategy was last refreshed in 2012 and needs to remain relevant and fit for purpose." 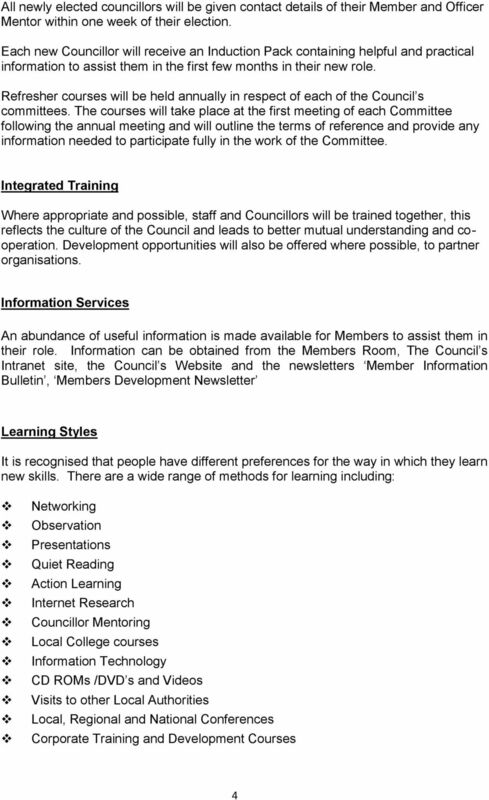 Diploma of Local Government (Elected Member) Nationally recognised training for Elected Members walgatraining.com.au Contact WALGA Training on (08) 9213 2089 or email training@walga.asn.au for more information. 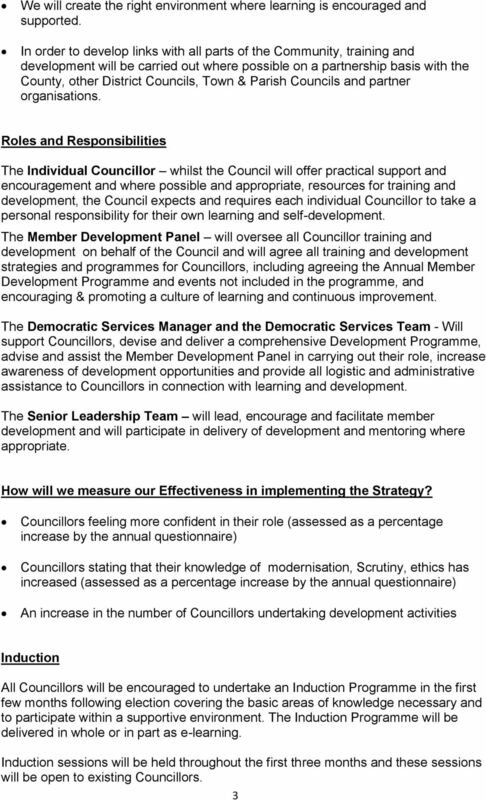 Derbyshire County Council Performance and Improvement Framework January 2012 Contents 1. Introduction 3 2. About the framework 4 3. Planning 7 5. Monitoring Performance 8 6. Challenge and Review 11 7. Lay Members are expected to attend a minimum of four committee meetings per year. WHAT ARE THE GUIDELINES FOR SUBMITTING A PETITION? Job Description. Director of Corporate Services. 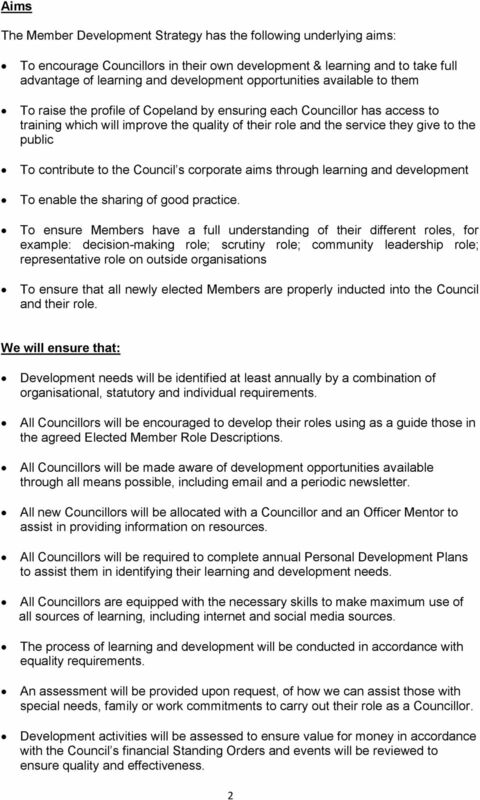 Staff: Head of Customer Services, Head of Libraries plus staff group of c.
4 November 2014 Performance and Resources Board 11 To consider Human Resources and Training update Issue 1 This report provides an update on policy developments relating to Human Resources and Training. 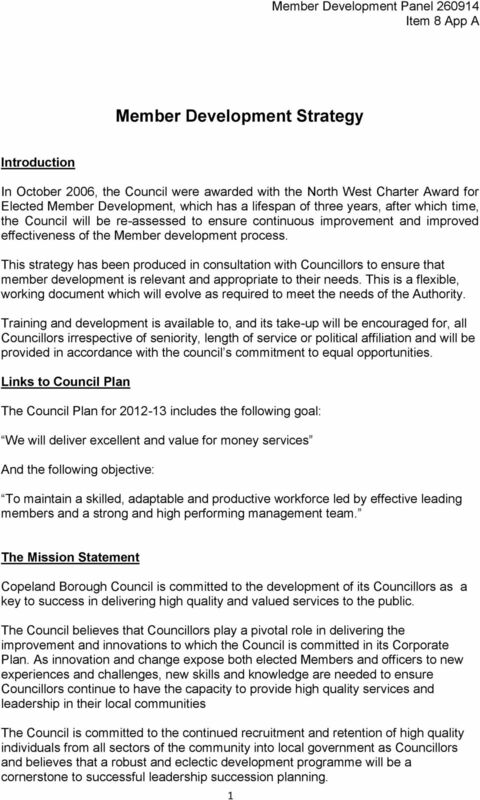 Annual Governance Statement 2014/2015 This is a signed statement by the Executive Leader and Chief Executive certifying that governance arrangements are adequate and operating effectively within the Council. The post holder will be guided by general polices and regulations, but will need to establish the way in which these should be interpreted.